electronic components. Meets the electrical and physical requirements of MIL-PRF-18705D Type III. 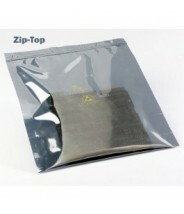 Guard against static charge from both inside and outside with three layers of anti static protection. 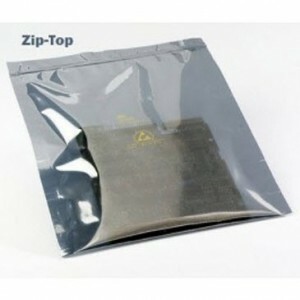 Rugged 3 mil zip top bag is 50% transparent for easy product identification.